I rarely drive over to Sanibel since I think the $6 toll to get on the island is obnoxious, but after seeing these photos from Norm Zeigler's Fly Shop I might just make a trip there right away. 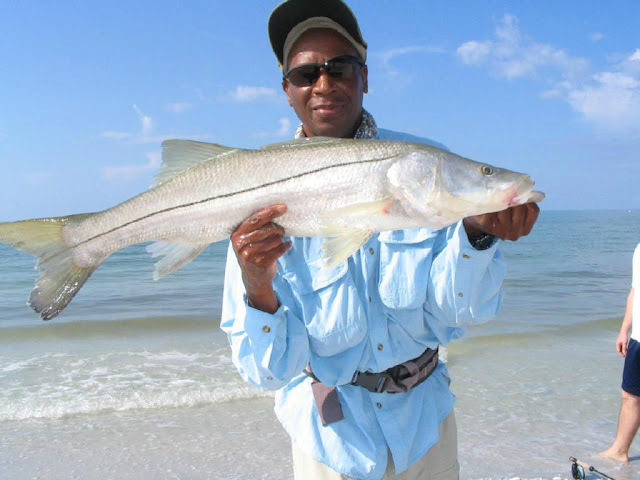 Sight fishing for snook in the clear waters of Sanibel's beaches is amazing and you can even get a shot at some tarpon and really big jacks, too. An added bonus is that the winds are especially calm right now in the mornings and early evenings, which happen to be the best times for targeting these fish. 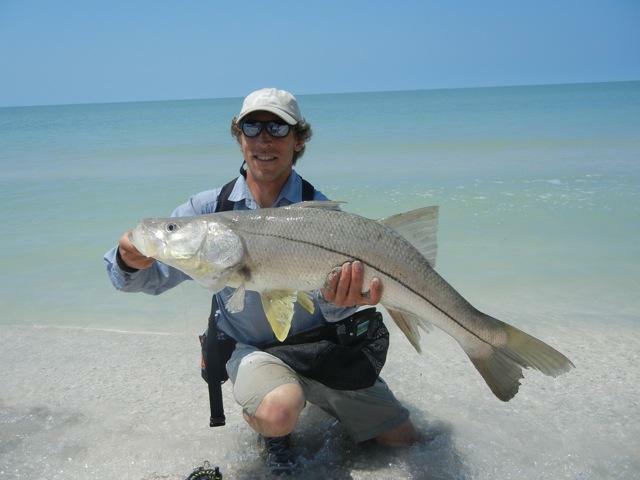 If you plan on making a trip over there give Norm's shop a call at 239-472-6868 and ask them where the fish are hitting. I've always found them to be very open with their information and that's the sign of a great fly shop.